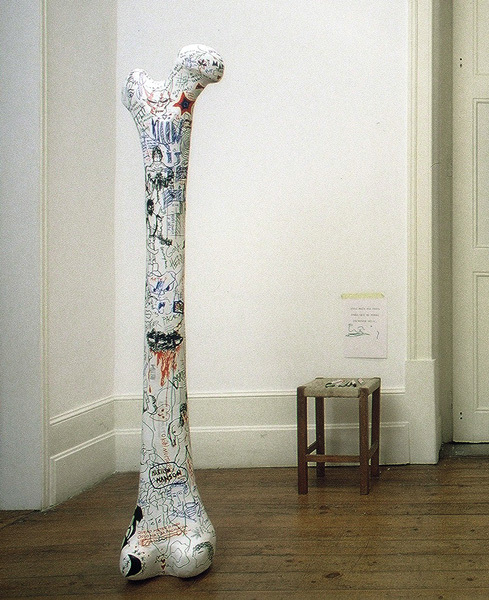 Compulsive Skin, 2000, plaster, wood, magic markers, lots of people, 120x152x55 cm. 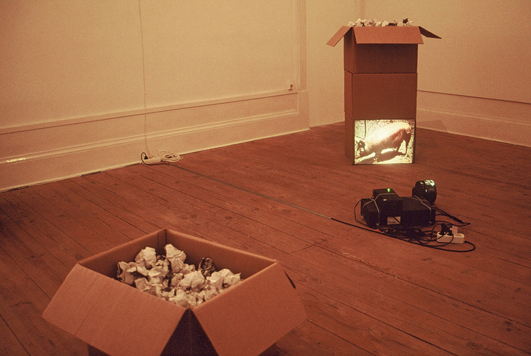 Exhibited in group exhibition Plano XXI, Portuguese Contemporary Art, Cinema & Music, G-MAC (Glasgow Media Access Centre),Glasgow, 2000, curated by Paulo Mendes and António Rego. 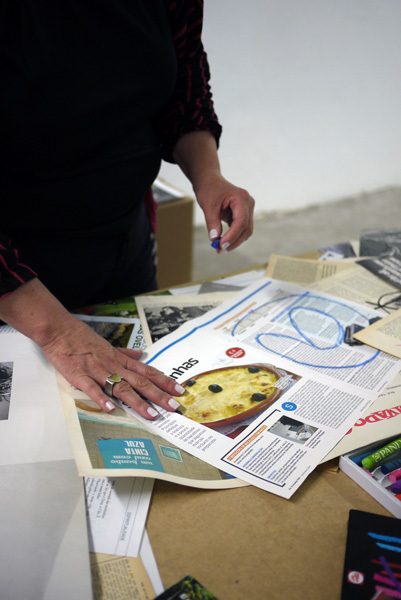 Exhibited in group exhibition “Riso. Uma Exposição a Sério,” Museu da Electricidade, Lisboa, 2012. 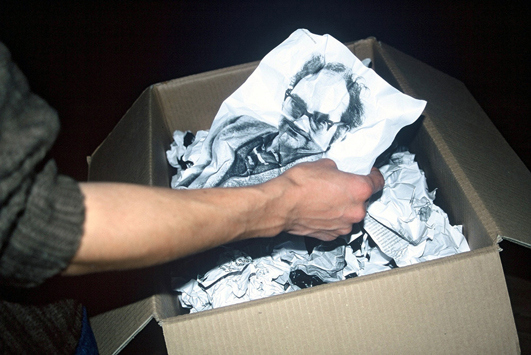 Collection Ivo Martins, on deposit at Fundação de Serralves – Museu de Arte Contemporânea, Porto. In this work books, VHS cassettes, and CDs are sold without labels or references to the titles and authors, so that the visitors buy them in a sort of blindness. 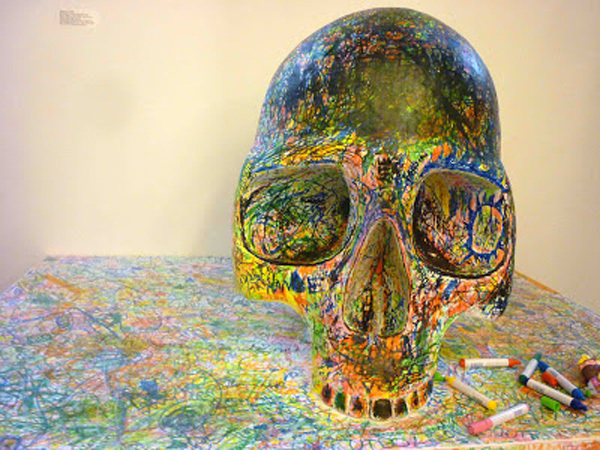 Ether, 1996, skull, magazines pages, 27x20x14cm. 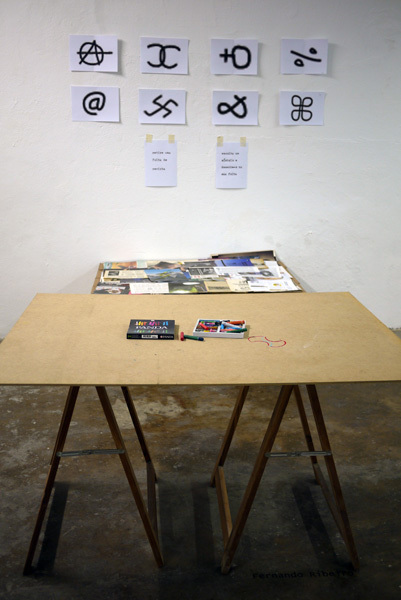 Exhibited in solo show at Galeria Arte Periférica, Lisboa. Collection Galeria Arte Periférica, Lisboa.